ACE evaluated the cardiovascular effects of adding daily treatment with acarbose to usual care in patients with coronary heart disease and impaired glucose tolerance (IGT). Randomised, placebo controlled clinical trial co-ordinated by the Diabetes Trials Unit. Between 2009 and 2015, 6522 patients from 176 hospitals in mainland China and Hong Kong were randomly assigned and included in the intention-to-treat population. The results of ACE were reported at the 2017 meeting of the EASD. They showed that in Chinese patients with coronary heart disease and impaired glucose tolerance, acarbose did not reduce the risk of major adverse cardiovascular events, but did reduce the incidence of diabetes by 18%. The primary results paper is available here. The ACE Publications Committee are happy to review proposals for potential new manuscripts. Proposals should be submitted on an ACE Ancillary Study Request Form emailed to PaToRuryHolman@dtu.ox.ac.uk. 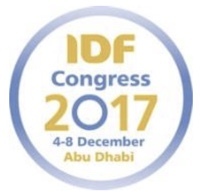 A total of 7534 delegates from 182 countries attended the 2017 IDF Congress in Abu Dhabi. Professor Rury Holman gave an invited plenary lecture in Hong Kong on Sunday 1st October 2017 at the 19th East Meets West Symposium focussing on Diabetes & Cardiovascular Risk Factors. His lecture, entitled "Updates on recent cardiovascular outcome studies in diabetes - from ACE to EXSCEL", reprised the key findings from the ACE trial and EXSCEL, first presented at the EASD in Lisbon on September 13th and 14th 2017 respectively.